Every marketer could benefit from more professional development. 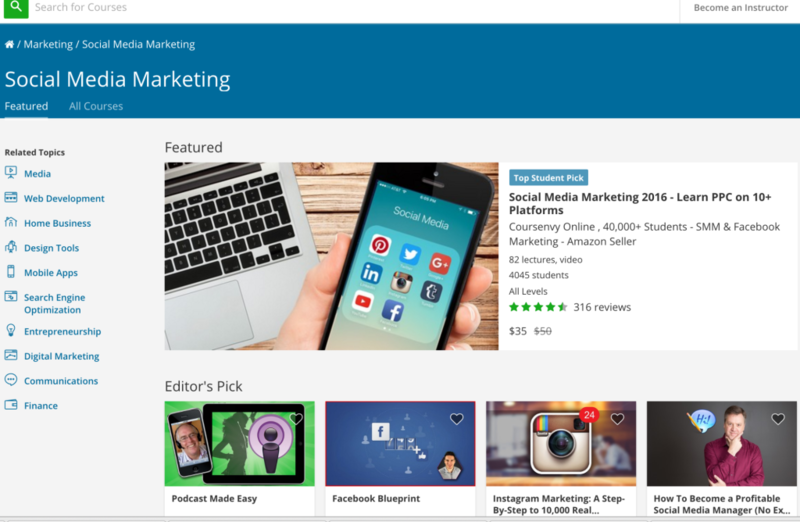 There are lots of free social media marketing courses that will help social media managers and freelancers learn new skills. Social media marketing isn’t going anywhere. And, success is tied directly to your social content’s ability to build an engaged audience and express your brand while prompting followers and fans to follow calls to action. Social media marketing can lead to new customers, and, new customers lead to sales. It’s worth it to know what you’re doing in the social space. If you’re a social media marketer, you know that a lot of what you’ve learned came from experience, not through social media classes you find on the internet. First of all, social media marketing certification used to come at a high price – not something feasible for freelance marketers and small start-up marketing agencies. But, times change, and now there are plenty of free social media courses online that can enhance your marketing toolbox and help you grow your business. Let’s take a look at some of the best ones. 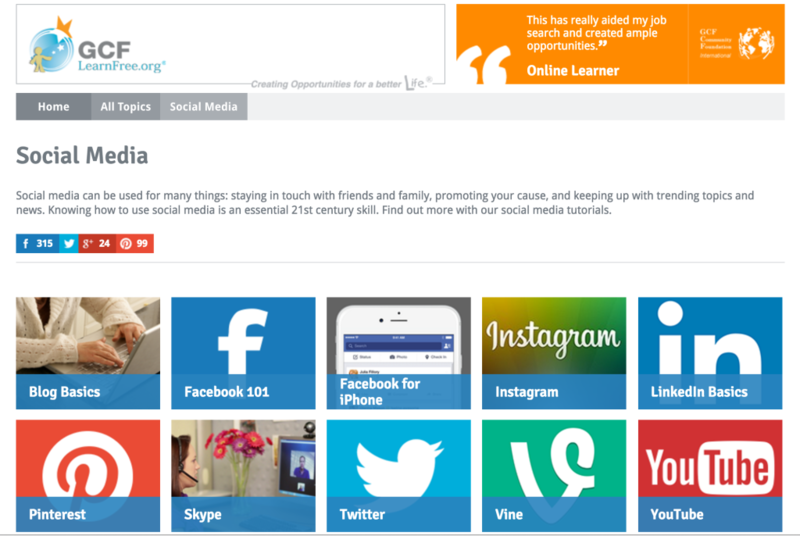 This amazing resource from Constant Contact, also called “Social Media Quickstarter,” has a robust menu of educational materials that are all very easy to understand and sort of fun. This isn’t a social media certification course, but it is a great resource for beginner and intermediate social media marketers who might be looking to learn the basics, answer specific questions, or pick up some tips and tricks. They advice on Facebook, Twitter, LinkedIn, Pinterest, Instagram, Google+, YouTube, Snapchat, Blogging and Online Listings and Reviews. The content isn’t interactive. Each subsection is, in essence, a repository of highly focused articles regarding advice and tips on specific things regarding each social media channel. All this content is free, and it’s well worth a look through to see if there is anything you’ve missed in your independent studies. 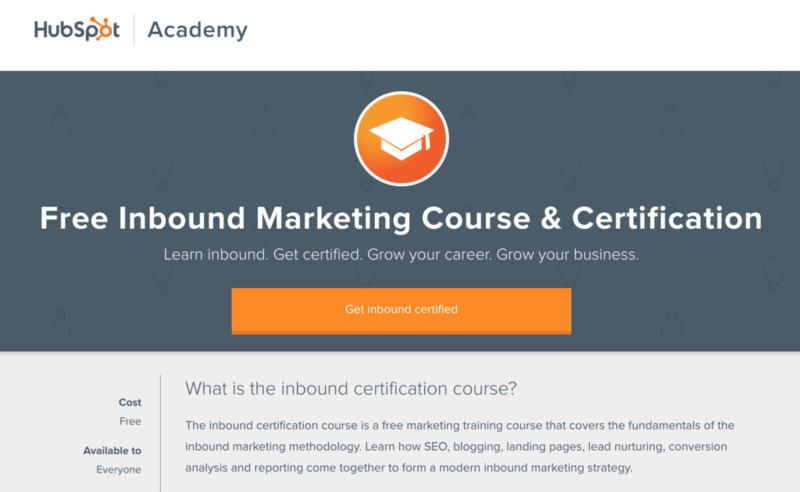 The brand name in inbound marketing, Hubspot offers free online social media classes that will earn you the Inbound Certification from Hubspot Academy. 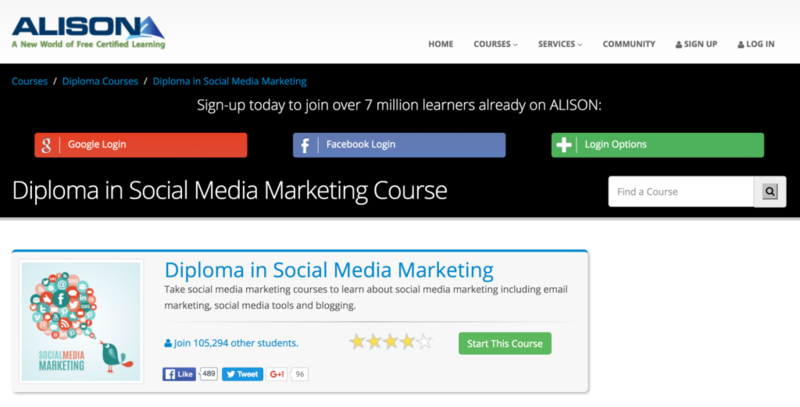 This course encompanies more than just social media marketing. It teaches you about blogging, landing pages, SEO and more, plus it connects the dots between those marketing practices and how social media can really get your content in front of people. The course includes an exam. Once you pass it, Hubspot will send you a personalized certificate and badge you can put on your website, in your email signature, or one of your social media profiles. Some clients and businesses really pay attention to reputable certifications, and you can’t beat the price on this one. And before you say that SEO and blogging aren’t relevant to your business, think again. Even if those aren’t things that you currently do for clients, it’s very important to understand how all digital media fits together in an inbound marketing scenario. This free online social media course is great for people who are looking to increase their skill set, and it offers a social media certification as well. 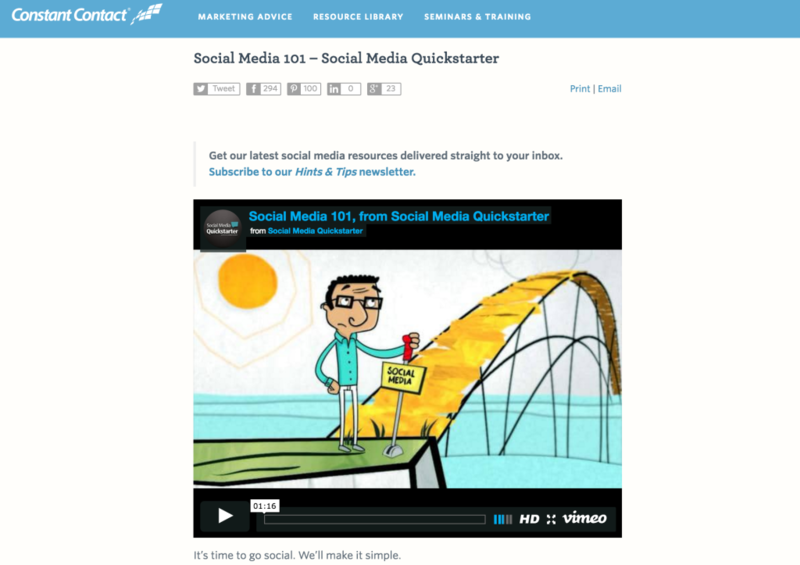 The course covers Facebook and Twitter, as well as blogging and podcasts. It teaches you about the correct image sizes and types of images you should use in social media campaigns. It also teaches you the basics of affiliate marketing, and so much more. The course takes about 20 hours, is published by the Advance Learning Academy, and you have to get an 80% or more on all the course assessments prior to purchasing (yes, that part is NOT free) your diploma certificate. A warning – the course was released in April of 2013, so keep in mind that some of the content might be outdated. To get a list of who might offer social media marketing classes online, of course you have to Google it. 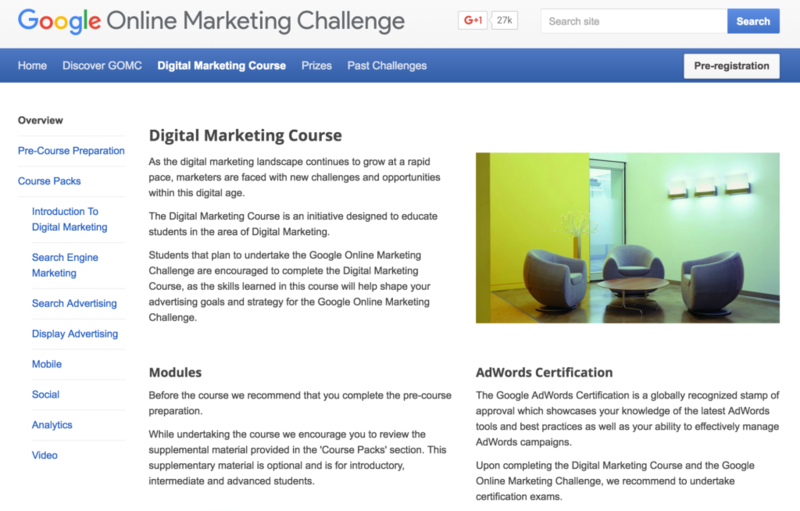 And what you’ll find out is that Google offers free courses, including an introduction to digital marketing, search engine marketing, social and more. If you want to learn how to create content from the keyword search on, this might be the place for you. Google offers pre-course prep, and offers supplemental material that is intended for students to use to help them complete the modules. The social module, naturally, leans toward Google+ as the platform, but don’t dismiss it because of that. You can learn plenty about engagement, how to pick content that is relevant and more, and if you need to know about Google+, this is the place to go. Certification exams are offered once you complete courses with Google. It sure can’t hurt your resume to go ahead and earn those certifications. This is a goldmine! This pilot program offers twelve different areas of study. They cover anything from personal branding on the internet to monitoring and reporting, with different courses for each of the main social media platforms – Facebook, YouTube, Google+, and LinkedIn. Each of the 12 courses has an instructional video and then activities for you to do to learn by doing. Then, you complete an exit survey. If you decide to take your education to the next level in addition to the free social media marketing courses, USM offers online and in-person courses for accreditation. 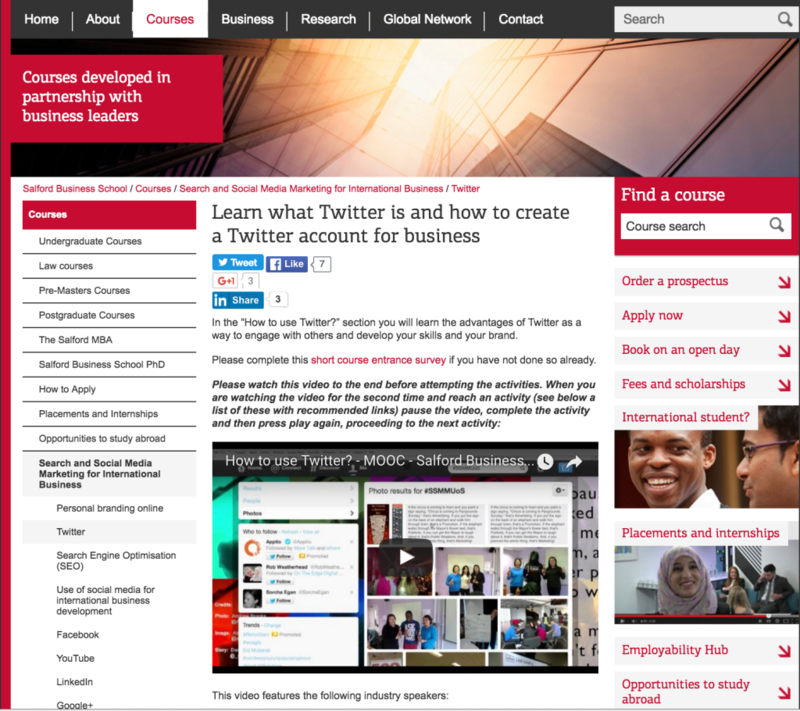 The course was created by students at the Salford Business School. This open online course got its start at the University of Mary Washington and, in terms of creativity, is one of the best online social media courses. Professor Jim Groom set out to redefine storytelling for the digital age. Since the best social media marketers tell a story to engage fans and followers, this is an out-of-the-box, yet terribly effective, course to take where you build your digital identity and learn how to tell stories in the digital age. It encourages creative self-expression and helps you get your head around social media sharing that has a big impact on your network. 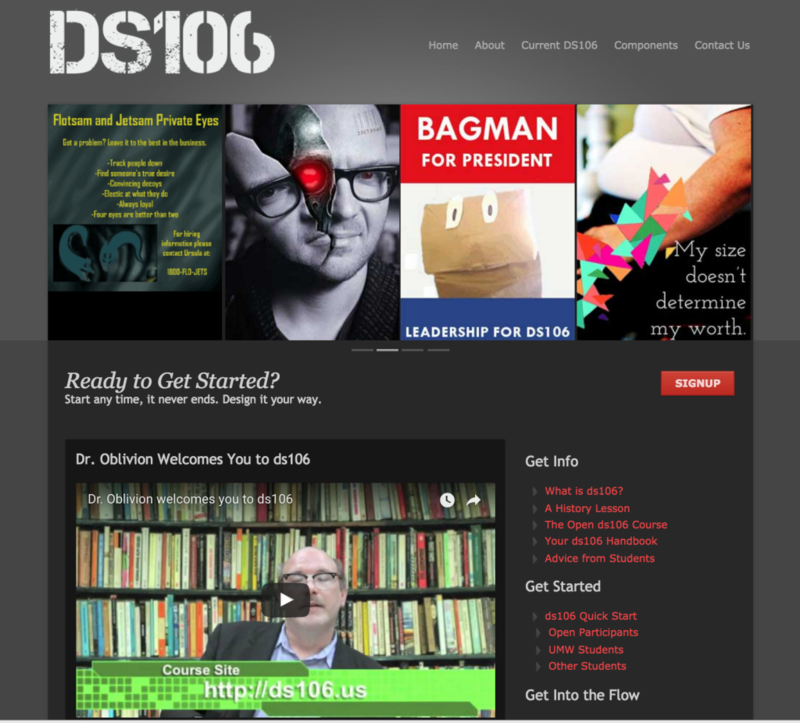 The website has over 800 media assignments created by members of the group. You’ve probably heard of Udemy before. It has a large selection of online courses about every possible subject, including social media marketing. They have paid and free options. Certain classes, like Marketing on Twitter, or Marketing on YouTube, are free. Others, like 100 Social Media Tips, Tricks and Techniques, are $20. Which is a small price to pay for one of Udemy’s Three Sixty Academy team courses, which were created by Udemy and certain subject matter experts in their respective fields. Another great thing about Udemy is that you can also become an instructor. They do require you to have some expertise in the subject you want to create a course for, of course, but it’s a great way to promote your brand if you’re a social media marketer with personal followers. This is one big learn-fest! This site has classes on everything from Microsoft to elementary math. They also happen to have a bunch of social media courses, from blogging to Facebook for iPhone and almost everything in between. The courses are short, structured well and pretty basic, but they are great for sharing with clients who need to get up to speed and for new employees or freelancers who need a leg up when it comes to the basics of social media. Courses are created by staff online instructors who are subject matter experts in their respective fields.